Is it a sunny day again and you have to work in the scorching heat? Or you got a date and you have to travel under the sun to get to meet her? Or is it your first-year anniversary with your girl and you have no idea what to gift her? If you are facing such problems while travelling in the sun, then imagine how difficult it must be for your girlfriend? Well, whether you are looking for protection from the harsh sun or a present for a special person or a combination of both, we got you covered. We know just the perfect accessory to get! Yes, you guessed it just right -Sunglasses! Sunglasses are fun, they simultaneously say you are cool, mysterious, intimidating, anonymous or anything else that you want them to say about you. 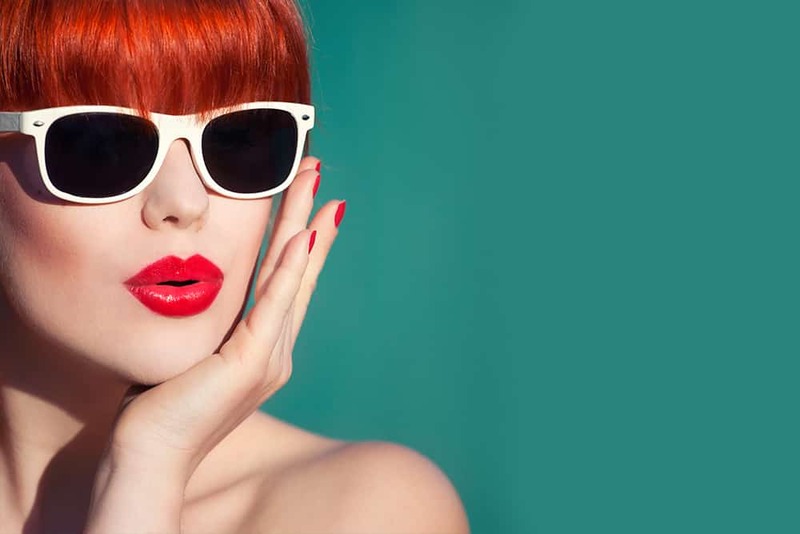 You can easily transform her looks by gifting her the right pair of sunglasses. Not only do they transform her looks, but they are also a mirror to her personality, as they reveal her nature. So, choosing a sunglass for her accordingly would be a great idea. If you are a bit confused about what we are talking about, then let’s elaborate on it. Choosing sunglasses is way easier when you have your options narrowed down to certain categories and styles. Here, we are providing you a foolproof solution to get the perfect gift for your girl. 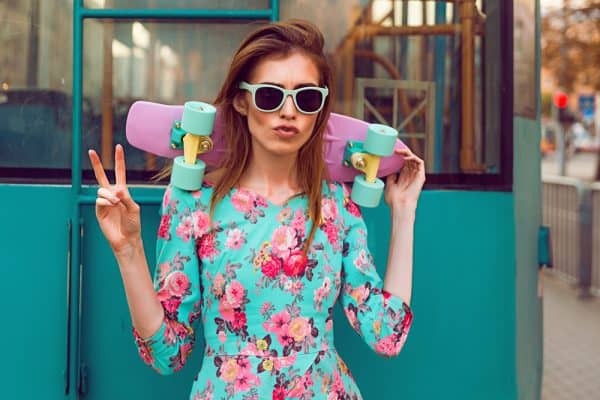 With the right amount of sunscreen on her skin and the right pair of sunglasses, your girl will not only be protected from the dangerous UV rays of the sun but she will also look all trendy and stylish! She will definitely love it and will appreciate you for it! Read ahead to know which glasses suit your lady the best based on a number of criteria, such as face shape, hairstyle, nature, and so on. But be sure to buy branded sunglasses for her. She shouldn’t have to compromise on her fashion quotient or eye safety, right? 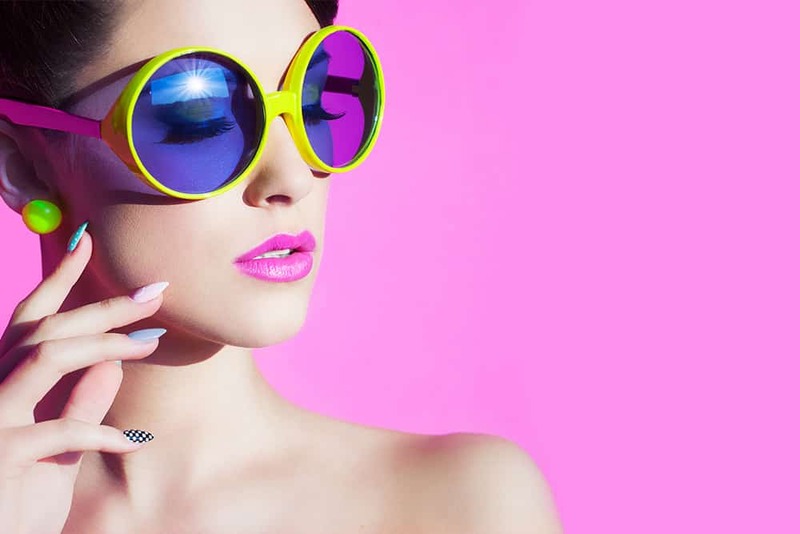 Enjoy reading about how to select the right sunglasses for your girlfriend! 10. Clubmaster sunglasses are back in fashion! 13. Thank God for classic wayfarers! Sharp, angular frames complement round faces very well and highlight the sharp features of the face. This style will give a bold look to your girl and will definitely make a statement. If your girlfriend is more on the cute and funky side, then this is the best option for her. Gift her something colorful like yellow, orange, or blue. They will add color to her looks. Cat-eye frames are ideal for oval, round, or square-shaped faces. 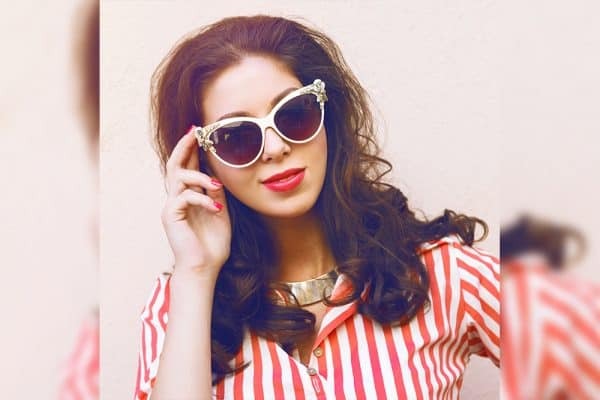 Cat-eye frames are totally in fashion and look great in animal prints or funky colors. 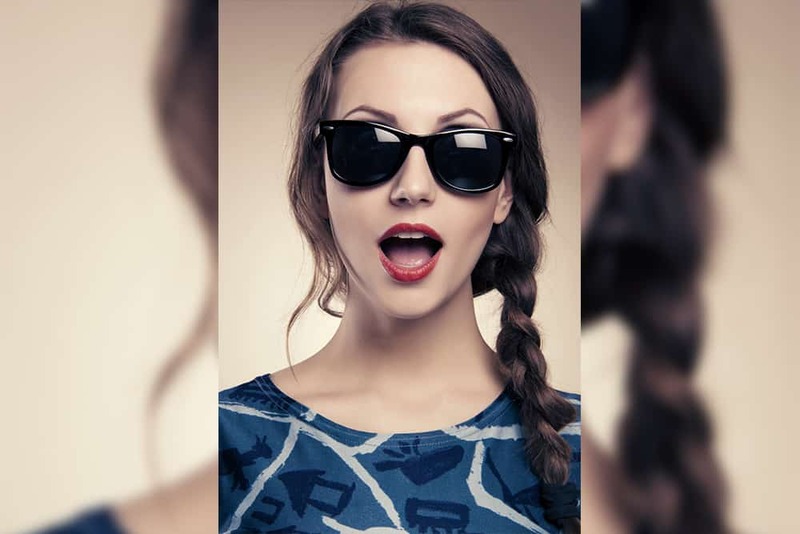 Cat-eye frames are the best pair for her if she has an outgoing personality! If your girlfriend is a fashion freak, then you are absolutely in luck. Because they are the easiest ones to choose a gift for. She will be ready to try anything and add all trendy stuff to her wardrobe because she knows how to pair things up very well. Egg-shaped lenses are best known to balance out angular faces with strong, marked jaw. Oval glasses also suit long, thin faces and heart-shaped ones with a defined chin. If your girlfriend is quite girly and prefers all things sweet, then gifting her flower-studded sunglasses would be an excellent idea. If your girl has long hair and an oval face, rectangular frames are impeccable for her! They would look classy and stylish at the same time. Avoid oversized frames, though, because her long and wavy locks are already covering her face; her glasses need not do the same! Rectangular lenses also look great with oblong-shaped faces as they soften the chiseled structure of the face. If you’re a Potter-head, or she is, then nothing else would be better for her than a pair of round-shaped frames! However, keep in mind that round glasses go best with heart-shaped or square faces because they soften the defined lines of the face. Also best for round faces, square-shaped lenses stand out with bangs or layered hairstyles. Square-shaped frames suit triangular-shaped faces, too. Popular in the 1950s, clubmaster glasses are back in trend and suit square-shaped faces the best. They stand for boldness and, hence, look good on strong-willed women. The heavy detailing at the top and round edges at the bottom soften very sharp cheekbones; hence, clubmasters also look best on diamond-shaped faces. These frames also work well with round, square, and heart-shaped faces. Aside from their dope metallic frame, aviators are one of the best choices because they look great on all kinds of face shapes. They suit square and diamond faces very well. Even though every hairstyle looks good with aviators, they are most stylish with buns and halfway curls. Oversized glasses on short hair is the contrast that looks the best. Big frames look all chic on short hair and will make her face look small and cute. They look great on square-shaped faces, too. Complementing round faces the best, wayfarers add to the style quotient of the person wearing it. 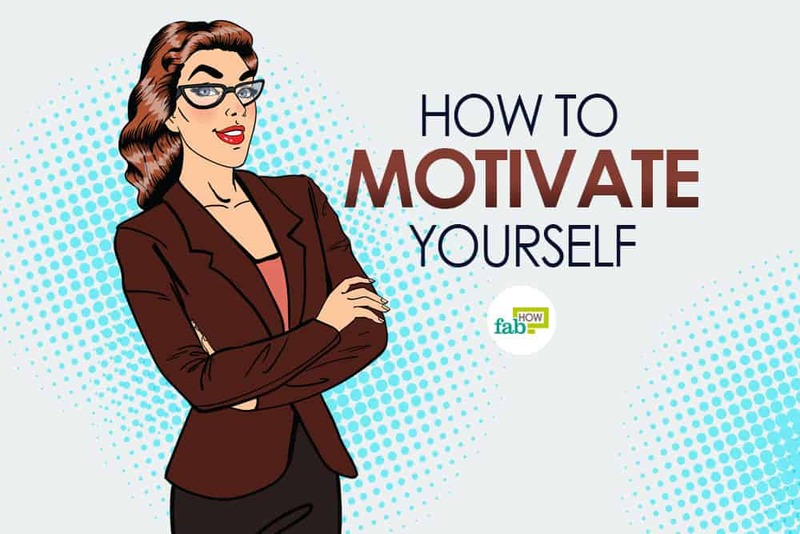 They also go well with rectangular or long faces.